Companies have the resources to redesign products and packaging to stay within the bounds of our resource limitations but need to take stronger actions to recover and re-use waste. 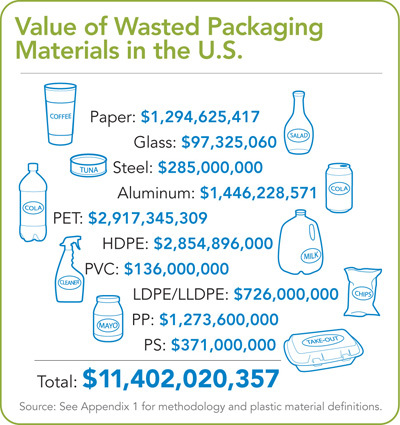 Product packaging is a good place to start reducing and recycling waste; it represents nearly half of the total U.S. municipal waste stream and is a substantial contributor to greenhouse gas (GHG) emissions. Extended producer responsibility (EPR) or Make It, Take It! 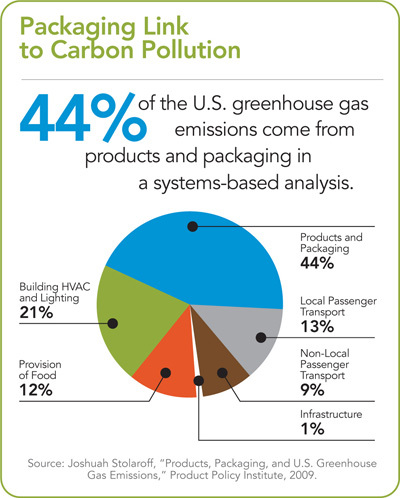 policies challenge companies to take responsibility for the impact of products and packaging over their full lifecycle. Europe and Canada have adopted EPR practices to shift responsibility for packaging waste from consumers and governments to producers. EPR is a fast-growing area of focus for sustainability-minded companies in the U.S. Leading brands like Coca-Cola Co., Nestlé Waters North America, and PepsiCo have taken responsibility for a majority of their post-consumer bottles and cans, setting an example for other consumer product companies. The NGO Recycling Reinvented, co-founded by Robert F. Kennedy Jr. and Nestlé Waters NA, is promoting state EPR legislation similar to Canadian and European programs, which would shift the costs to recycle packaging from taxpayers to producer brands. 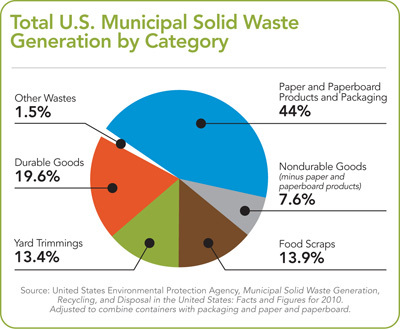 With record U.S. budget deficits, there is scant funding for new municipal or state recycling operations. Shifting responsibility to producers to pay for recycling packaging through an EPR system is an attractive option for state governments and state officials are increasingly supporting EPR frameworks. In 2012, our Kraft Inc. shareholder proposal asking the giant food company to adopt EPR received a very strong first-year vote of 25.6% at the company’s annual meeting. This represents a major advance for an issue that is still gaining traction among companies as well as stakeholder groups. A subsequent vote at grocer Kroger Co. received a solid vote of 13%. Ameripen, a new industry trade group on the environmental aspects of packaging was established, reflecting concern that EPR is gaining momentum. Grassroots activists at Cradle2 Coalition are mobilizing to support EPR legislation. As You Sow is engaging key consumer product companies like General Mills, Kraft Foods, Procter & Gamble, and Unilever to take responsibility for collection and recycling of their packaging. We are working with Coca-Cola Co. and Nestlé Waters NA, as well as NGO stakeholders for broader corporate acceptance of EPR systems in the U.S. Since producers control design and marketing decisions, they have the greatest ability and incentive to reduce the overall environmental impact of their products. We are committed to extensive engagement with these consumer giants to adopt EPR policies for packaging waste and to develop more efficient product design and recovery systems that will lead to a long-term goal of sustainable production and consumption. 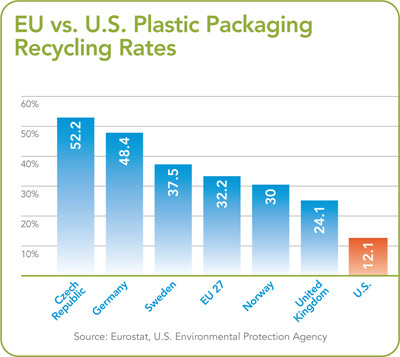 While U.S. companies resist taking responsibility for packaging, their European counterparts are praising the success of EPR systems. 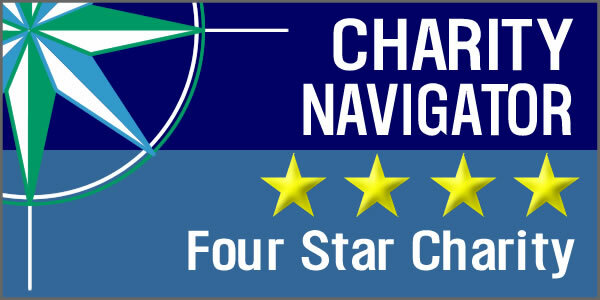 Enthusiastic praise for these systems has come from a major European packaging trade group whose members include prominent Procter & Gamble and Kraft Foods. Make It, Take It! type laws for packaging in Europe have diminished public antagonism to packaging waste, been responsible for a “remarkable” reduction in waste sent to disposal, and local authorities are seeing “lower costs for the public purse,” according to Julian Carroll, Managing Director of Europen. Carroll calls the E.U. waste directive that led to the development of EPR systems in many countries “clearly one of the most successful pieces of E.U. environmental legislation.” The amount of packaging going to final disposal in 15 E.U. countries fell by 43% over the past 11 years, largely due to higher recycling levels generated by these laws. Increased recycling of packaging will yield strong environmental benefits, leading to more efficient use of materials, reduced extraction of natural resources, and lower GHG emissions. EPR policies will create new markets for packaging materials that currently have little value and keep plastics out of oceans where they imperil marine life. EPR mandates can lead to new systems of production that use materials more efficiently and eliminate waste by turning discarded products into new raw materials. As You Sow welcomes your support as we engage companies to adopt stronger packaging stewardship policies that can lead to sustainable production and consumption of goods for future generations. For more extensive information and background making the case for EPR for packaging, consult our new report Unfinished Business: The Case for EPR for Post-Consumer Packaging.